There aren’t too many historical figures who have their 150th birthday celebrated. But if your name is Henry Ford, the man who gave us the modern auto industry, you might even get a book as well. And that’s just what the Henry Ford Museum did in celebration of the man’s sesquicentennial. 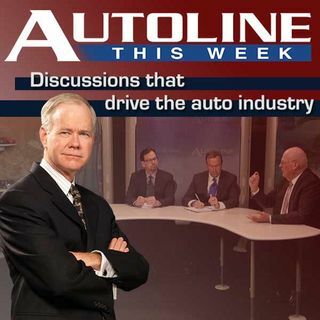 Joining John McElroy to discuss the man, the museum and the world’s premier automotive exhibit –called Driving America – are the people who put it together, Transportation Curator for the Henry Ford Museum Matt ... See More Anderson, the man who he replaced, Bob Casey, and Patricia Mooradian, President of the Henry Ford Museum this week on Autoline.